1875: Finished Secondary School in Zagreb. Took part in the Stara Zagora Uprising. 1876: Teacher in Tarnovo. Secretary of the revolutionary committee. Took part in the April Uprising. 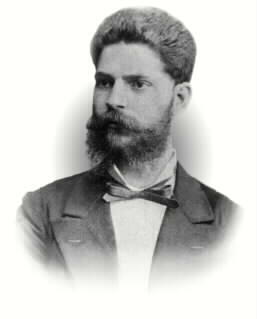 1880: Graduated the Faculty of Mathematics in Munich and returned to Bulgaria. 1880 - 1881: Minister of National Enlightenment in Karavelov's Cabinet, liberal. 1881 – 1883: Director of the Bureau of Statistics. 1884: Minister of Finance in Tzankov's Cabinet. 1893 – 1896: Director of the secondary schools for boys and girls in Solun. 1901 - 1902: Minister of Internal Affairs in Karavelov's and Danev's Cabinets. Head of the Ministry of Finance in Danev's Cabinet, progressive liberal.